D.E.M. O’Cracy, the beloved husband of T. Ruth, father of L.I. Bertie, brother of Faith, Hope and Justice, expired on 26 June”—an obituary that appeared in the Times of India a few days after the declaration of Emergency in 1975 probably summarises best as to what the state of emergency meant. Why does the Emergency imposed by Indira Gandhi 43 years ago come back to haunt people’s consciousness every now and then? The answer is very simple: the period from June 25, 1975 to March 21, 1977 was a systematic, conscious and unsuccessful attempt by Indira Gandhi and her Congress (R) cohorts to subvert democracy and civil rights for their narrow personal gains. The 21-month period was marked by blatant abuse of power through suspension of fundamental rights and civil liberties of the citizens, and violent suppression of all forms of political opposition. Hundreds of thousands of political opponents were detained under the draconian Maintenance of Internal Security Act, thrown in jails and tortured. Imposing complete censorship on the press, Indira tried to silence the voice of dissent in the nation. The period saw many atrocities, like the Turkman Gate killings in Delhi, and forced sterilisation of citizens across the country. Aided by a pliant President—Fakhruddin Ali Ahmad—and supported by a docile cabinet and a ring of sycophant advisers, Indira started to rule by decree. For the young Indians, born in the post-Emergency India, it is important to understand why Emergency was declared. Emergency was a direct outcome of the annulment of Indira Gandhi’s election from the parliamentary seat of Rae Bareilly, by the Allahabad High Court in 1975 on charges of malpractice during the 1971 elections, and its subsequent ratification by the Supreme Court. Prior to that, a very strong movement had started building up against Indira in the form of massive students’ protests, railway strikes and civil unrest. Emergency was declared to crush the growing dissidence and unrest. However, what was most pernicious was Indira’s attempts to tame the judiciary. In the famous Jabalpur ADM versus Shiv Kant Shukla case, Chief Justice A.N. 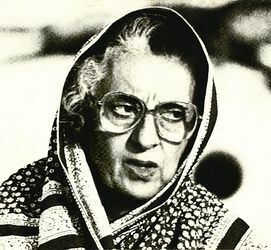 Roy, a protégé of Indira, prevailed in rejecting the right of citizens to approach the High Courts against arbitrary arrests under Article 226 during the Emergency period. The lone voice of dissent in the bench was that of Justice H.R. Khanna, who, despite his seniority, was denied promotion to the position of Chief Justice. Indira tried to alter many aspects of the Constitution through the infamous 42nd amendment. P.N. Lekhi was the prosecutor in Shah Commission in 1977, which was set up to investigate into the excesses of Emergency. The Commission had conducted a detailed enquiry into the various charges and submitted its report in three volumes. The report was a strong incrimination on the authoritarian misdeeds of Indira and her son Sanjay Gandhi, and a scathing attack on bureaucracy. However, because of the sudden fall of the Janata Party Government in 1979, special courts could not be constituted to try the offenders. Later, Indira Gandhi buried the report after she regained power in 1980. The Emergency period has been a testimony to the fact that the Congress party is authoritarian and brooks no dissent, no matter whether it is in power or not. The Congress loves servility; hence an independent and strong judiciary that issues summons, and tries its first family in corruption cases, is a pricking thorn in the party’s flesh. But, the liberal democracy in India was miles ahead to succumb to any regressive attempts by the Congress. However, an important lesson to draw from Emergency is that the spirit of liberty and freedom is very strong in Indian consciousness, and, hence, the people are capable of upsetting any design that weakens the roots of democracy in India.